I keep thinking about the very intimidating-looking immigration officer who reviewed my papers as I exited Ghana on Thursday. He wore a dapper, tailored uniform, and sat very proudly in his cubicle. The vignette of order–within the larger scene of chaos that is the Accra airport–was remarkable on its own. And even when one’s papers are in perfect order, the sense of vulnerability in the immigration line is unavoidable. The officer, in this case a soldier, has the power to decide if you may or may not continue on your journey. Your very freedom is in his hands. After several questions, he asked one more. I didn’t hear him. Again, the noise of chaos surrounded us. I detected multiple languages being spoken within a four-foot radius of our own conversation. The milieu of cultures meant that everyone was speaking at different volumes, and the collective decibels echoed throughout the hall, consuming my mind-space, leaving little for this conversation. Then the sound of the STAMP-STAMP-STAMP as my passport and papers received his official adieu, and I was off to London with a sense of enchantment. Be decorous. This officer’s uniform and presence were exactly what they needed to be. He demonstrated that he was bringing his A-game to work, and the result was my respect and attention. As leaders, we might be tempted to rest on the laurels of our authority. The officer did not need a dapper uniform and proud presence to review my paperwork. His power was in place regardless of how he presented himself. But the fact that he took pride in his presence resulted in an elevation of our shared experience (and those of my fellow travelers) that should not be discounted. Decorum is wrongly underrated. A leader recognizes both the honor and influence of decorum, and uses it. Be aware of mind-space. My officer friend was not oblivious to what was going on outside his cubicle. He was sensitive to it, and made preponderant efforts to both communicate with me, and to make me feel comfortable. He could have just as easily spent his shift (and as a result, his career) comfortably seated in his cubicle, keeping engagement to a minimum. His work of processing visas and documents would be unaffected, and he would still be a success. His choices, though, to actually connect with me created enchantment, and meant that my final impression of his entire country was defined by delight. In so doing, he has greatly expanded his PURPOSE. (Dictionary.com defines PURPOSE as “the reason for which something exists or is made.”) By allowing his awareness to inform his purpose, the reason for his very existence expands beyond the bureaucratic, and into the spiritual. A powerful leadership principle to be sure. Be cognizant of the role of power. A leader often finds him/herself in a space that feels very much separated from the team. Be it a literal cubicle or office, or more likely, a socially constructed isolation that is natural amongst humans. We often detest this separation, and actively work to remove it or change it, but the fact is that we are often treated as Other, and we struggle to maintain an authentic understanding of what it is like to be the team-member functioning with little additional cognitive space to make-meaning of the situation in the same ways that we do. This Ghanaian officer seemed to get that. While he clearly owned his power, he also knew its implications, and allowed the understanding of both to inform his practice. Be unexpected. If you would have asked me for a list of ten possible ways the officer might conclude our short meeting, “Won’t you come visit me next time?” would not have appeared on the list. It was almost vulnerable, and an absolutely unexpected invitation presented at the end of a professional exchange as a sort of parting gift. A bon voyage that says, “Hurry back, we like you and we’re nice here.” Be nice. Give loving-kindness a seat at the roundtable. Be unexpected. As a fellow HGSE grad, I was delighted to see your post on the Harvard Alumni site. I am involved in an NGO in India committed to educating rural children, especially girls. I will look forward to reading about your organization. 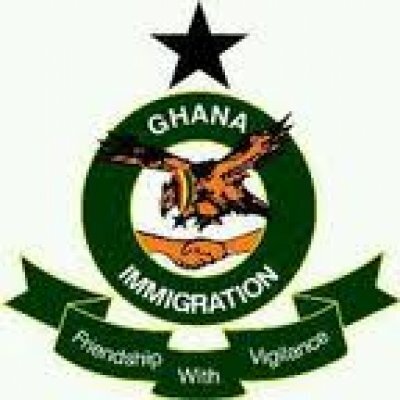 The tale of the Ghanian immigration officer was quite captivating. I loved the “purpose” which infused his role with meaning….nice! Decided I’d leave a comment here rather than on FB, because it makes a difference to search engines in picking up blog traffic. Am pondering some of your thoughts this morning. Had to smile at your point on decorum. Just yesterday I knew I had to run to something right after church and wanted to throw on jeans and a t-shirt. Lots of folks wear them at church and I have no problem with that, but I opted for a more professional look, solely because of my leadership position. N, THIS IS A GREAT READ—WRAPPING THE LEADERSHIP PRINICIPLES IN THE TELLING OF A DELIGHTFUL STORY LINE-BRILLIANT!! IT IS DENSE WITH MEANING. I HAVE READ IT FIVE TIMES. THANK YOU! Thank you for the encouragement. I am grateful to navigate through a life that teaches me so much.